A Truly Warm & Wonderful Home! Live in your Own B&B! This Charming Home has a Sweeping Open Livingroom & Diningroom! 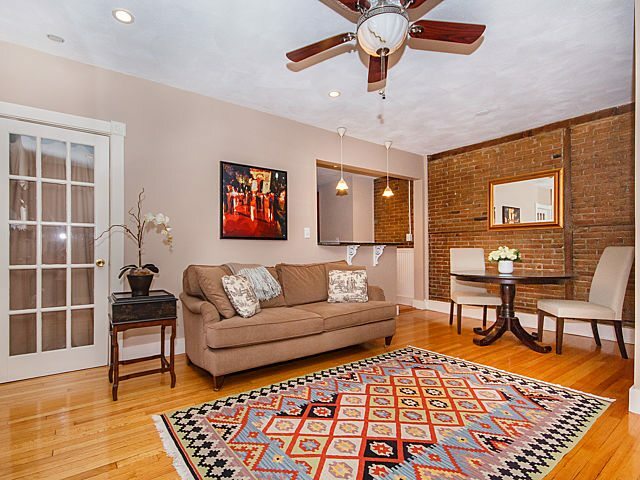 Exposed Brick & Period Mantels! Large Chef’s Granite & Stainless Gourmet Kitchen for those that really do Love to Cook & Entertain! Large Breakfast Bar! Gleaming Oak Floors! Huge Front Bedroom With Custom French Doors! Enchanting 2nd Bedroom Suite with Office! Atrium Doors Open out onto your Private Patio surrounded by a Lush Professionally Landscaped Yard! Designer Custom Granite Bath with Soaking Tub! Flexible Floor plan for any Lifestyle! Many Updates throughout! Renovated Common areas & Solid Owner Occupied Association! Abundant Storage! Don’t Miss this Great Value in Today’s Market!